The official weigh-ins for “UFC 197: Jones vs. St. Preux” take place today inside MGM Grand Garden Arena in Las Vegas, Nevada. Stream Friday’s weight contest live right here on 5thRound.com starting at 7PM ET/4PM PT. Please click HERE for the official weigh-in results. 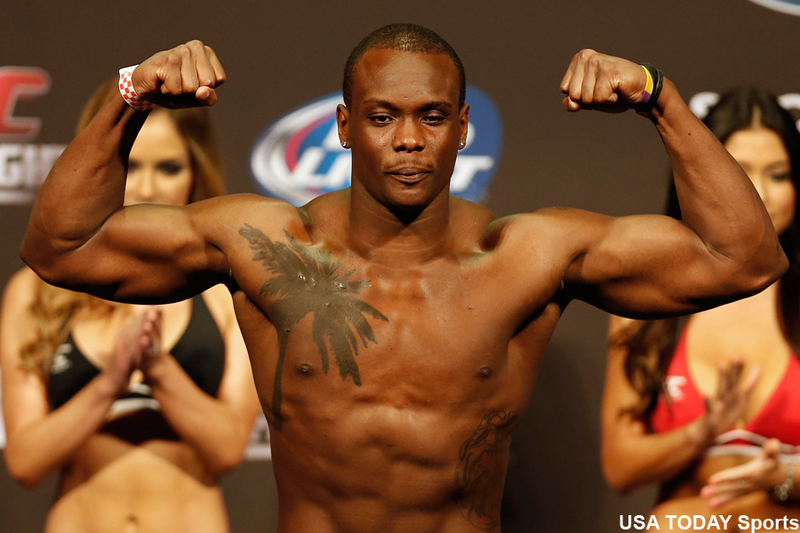 Ovince St. Preux (pictured) steps in as a late replacement for UFC light heavyweight champion Daniel Cormier to welcome Jon Jones back to action. The two will vie for the vacant interim 205-pound buckle. Jones has dealt with legal issues outside the cage for the past year that cost him his world title. Flyweight champion Demetrious Johnson defends his throne against Henry Cejudo in the co-main event. Tomorrow’s pay-per-view broadcast begins live at 10PM ET/7PM PT.